With so many bars, restaurants and cantinas in our city, sometimes deciding on a place to go with friends can become a difficult task, and the more places we think of and suggest, the harder it becomes. However, this doesn’t always have to be the case… and you know why? Because, I’m going to tell you about two different places where you will have a wide selection of different cuisines and beverages so that everyone can choose their favorite. Newly opened “The Harbor Fashion Mall” will blow you away, and visiting beautiful Mercado Norte is an absolute must. Take in the scenic views on the Mercado Norte rooftop. Swing in a hammock while you watch the dancing fountains and beautiful sunsets – you’ll love it! Both the mall and the dining area are pet-friendly, so you don’t have to leave “Man’s best friend” at home, take them out for an adventure with you! Check out the different options offered by the 16 food vendors. For example, enjoy Latin American specialties at Pura Vida; here you can try the Venezuelan and Colombian favorite, “arepas.” These are buns made out of cornmeal which are flattened and then stuffed with delicious ingredients like meat and avocado. You´ll be hooked after trying them. Discover a whole new world of flavors at Vegaxito. Try vegan twists on the classic cutlet, “arrachera,” “chorizo” and “pastor tortas,” tacos and “volcanes.” All these choices are available at Mercado Norte. Try something new! 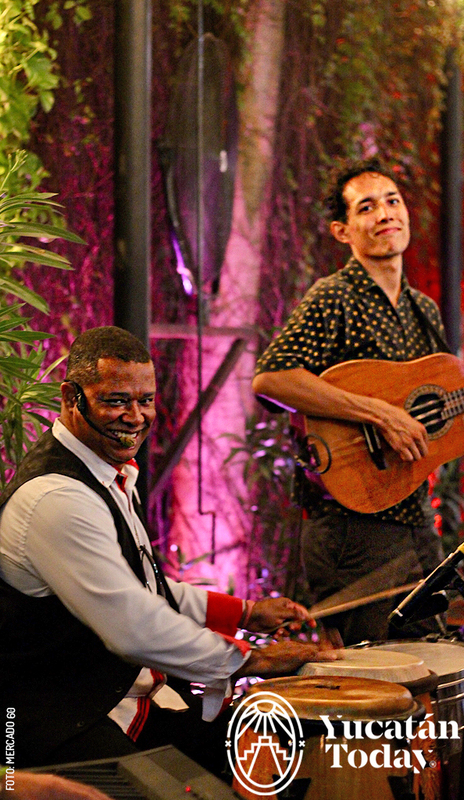 At Mercado Norte you’ll also find great entertainment and events. Show off your skills at their singing competition: Mérida’s Got Talent. You can also admire acrobatics, juggling, and aerial dancing at the Variaté de Circo event they host. Don’t miss out! There is live music each weekend. Fridays are usually reserved for tributes, Saturdays for Salsa, and Sundays are a variety of music. Live shows start at 9 pm on Fridays and Saturdays and at 4 pm on Sundays. If you are looking for a more relaxed, laid-back environment, check out Mercado 60. The vibe here is international, festive, and the location is fantastic and easy to get to. You will want to come back again and again to meet up with friends for dancing and a good time. One of Mercado 60’s features is its shared tables. You and your friends can meet new people while enjoying a delicious meal and great atmosphere right in the heart of Mérida’s downtown. Entertainment is available throughout the week. If you like Salsa dancing, take part in the contests Mercado 60 organizes and win great prizes. Then again, maybe “Bier Yoga” is more your thing, work on your mind and body while enjoying a refreshing beer. 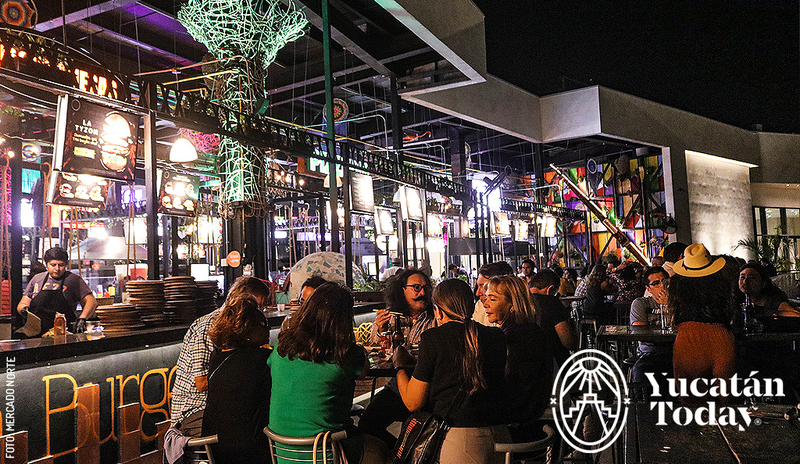 Mercado 60 also hosts regular tribute nights to iconic bands such as Queen, Café Tacvba and Selena. This place has it all. Don’t forget that you can also savor dishes from around the world. Discover a wide variety of traditionally Spanish flavors at La Central Gourmet. They have incredible meat and cheese plates and serve paella on Sundays. If you prefer Asian cuisine, try customizing your own wok at Wok60. You can choose your noodles, sauces, protein, and other add-ins to make up your all-time favorite dish to enjoy. Since Mercado 60 is pet-friendly, you’re out of excuses to miss out on all the fun each weekend. Have a memorable evening with your friends at this fantastic spot in downtown Mérida.